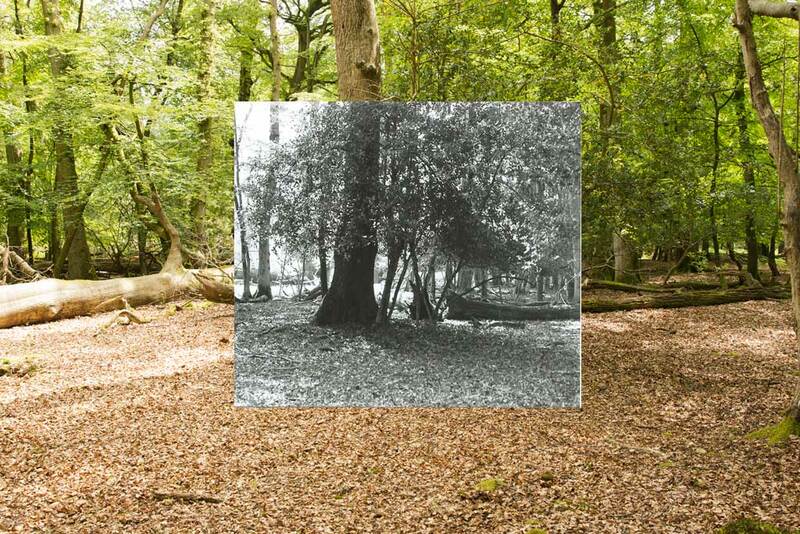 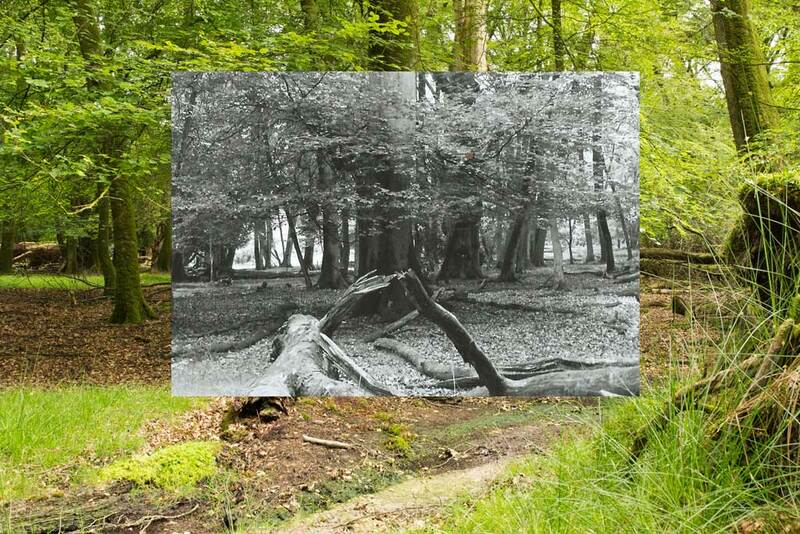 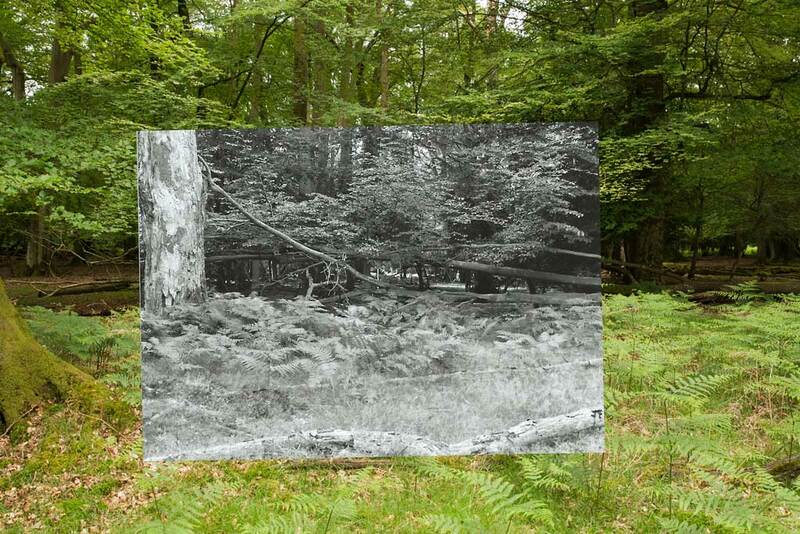 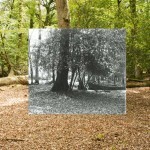 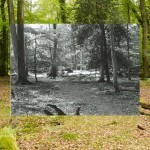 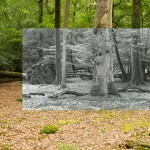 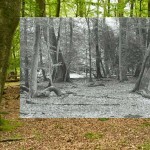 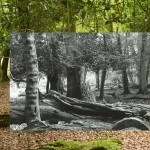 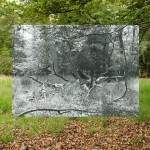 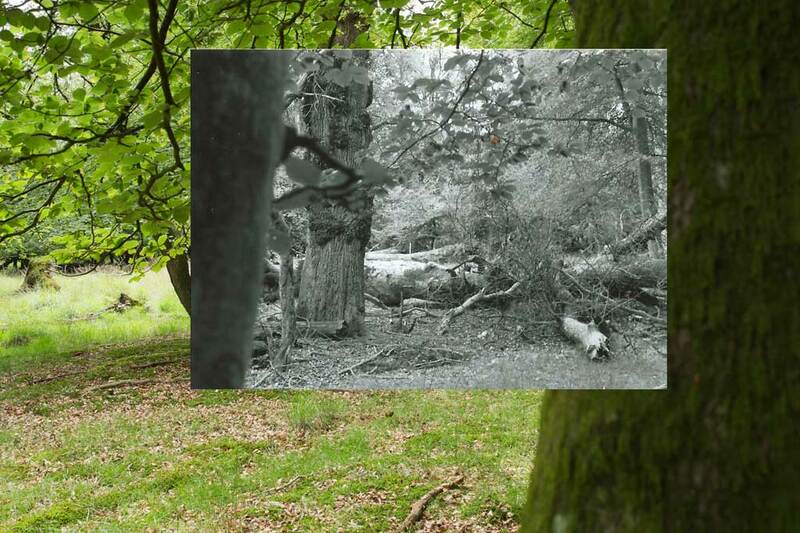 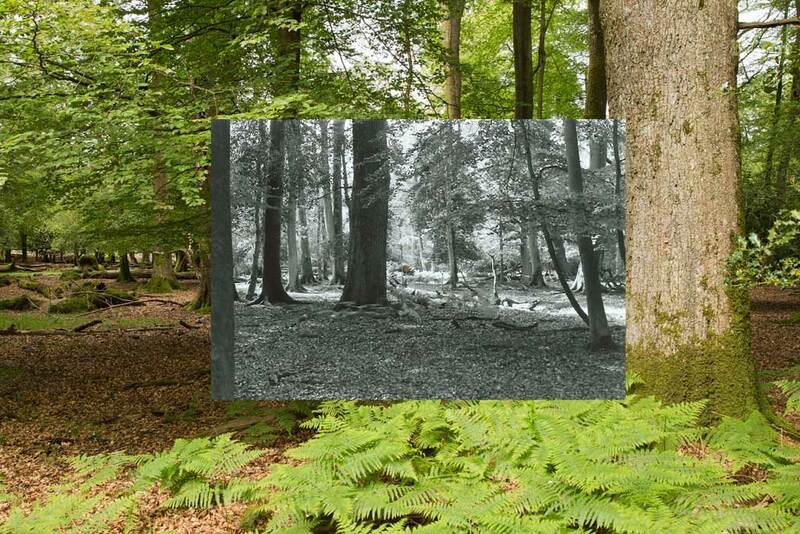 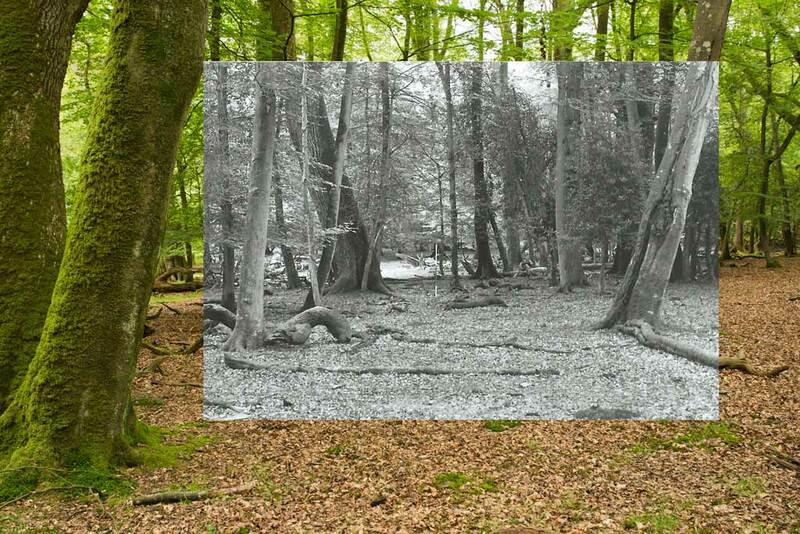 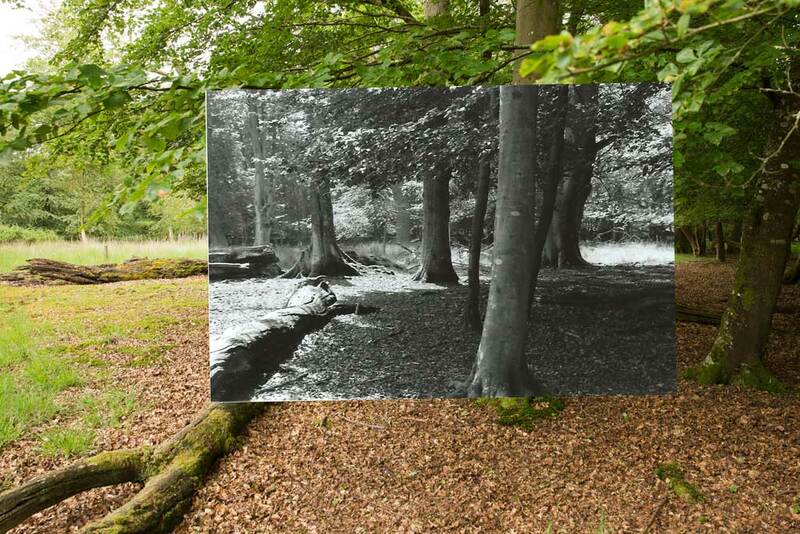 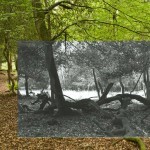 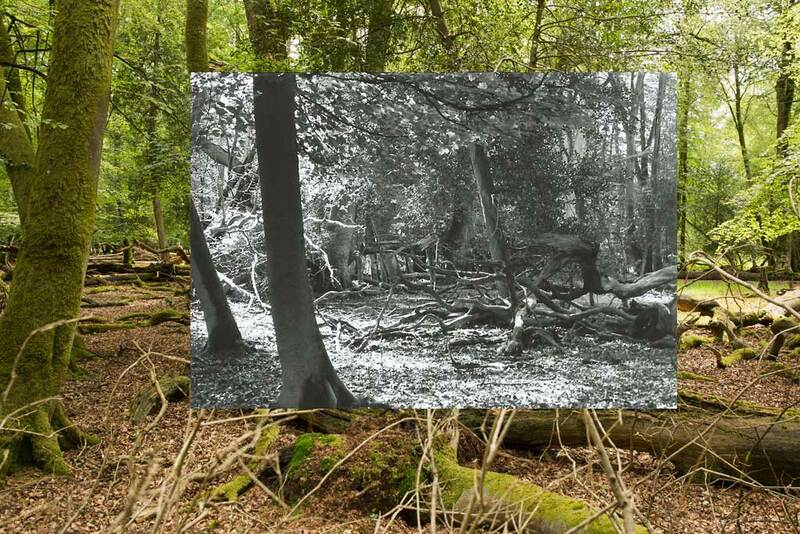 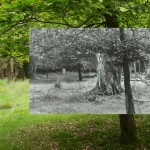 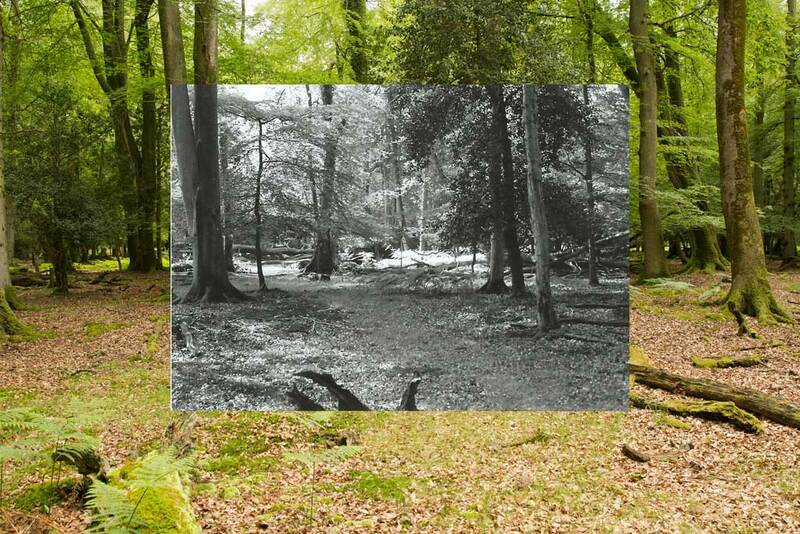 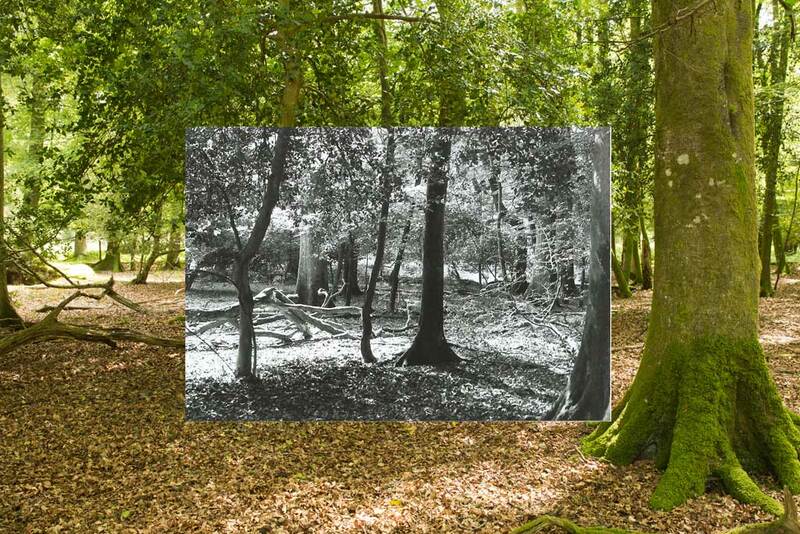 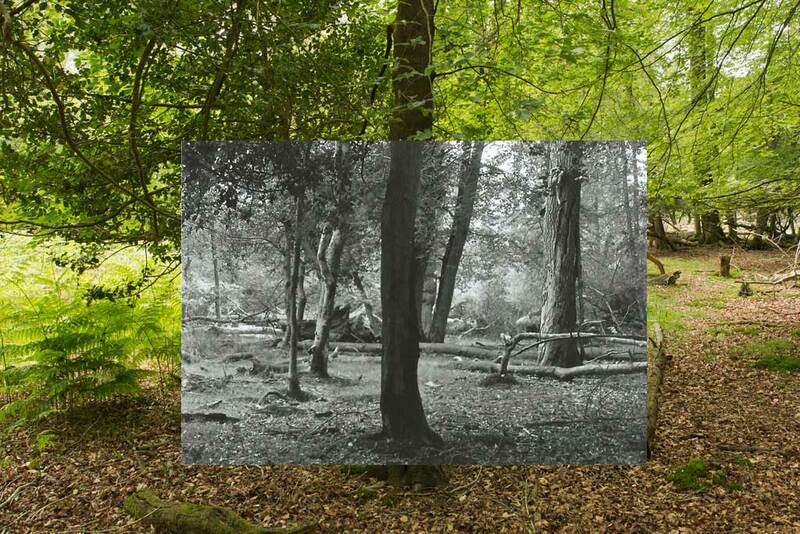 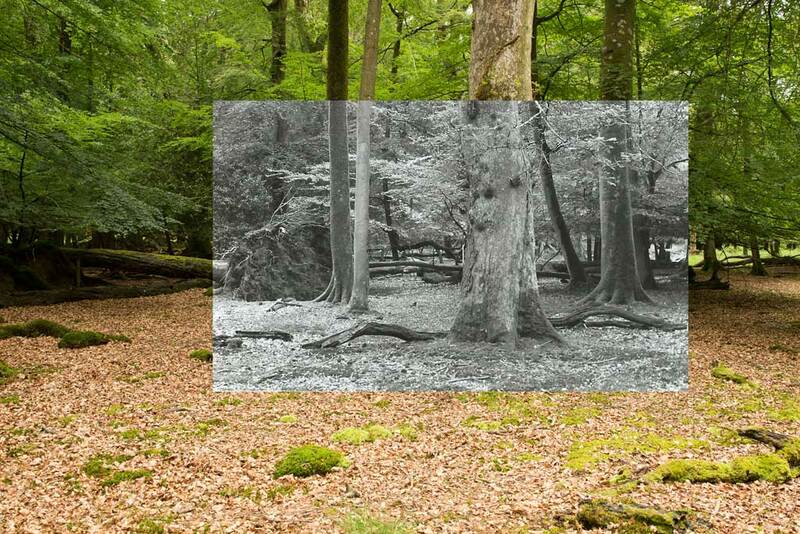 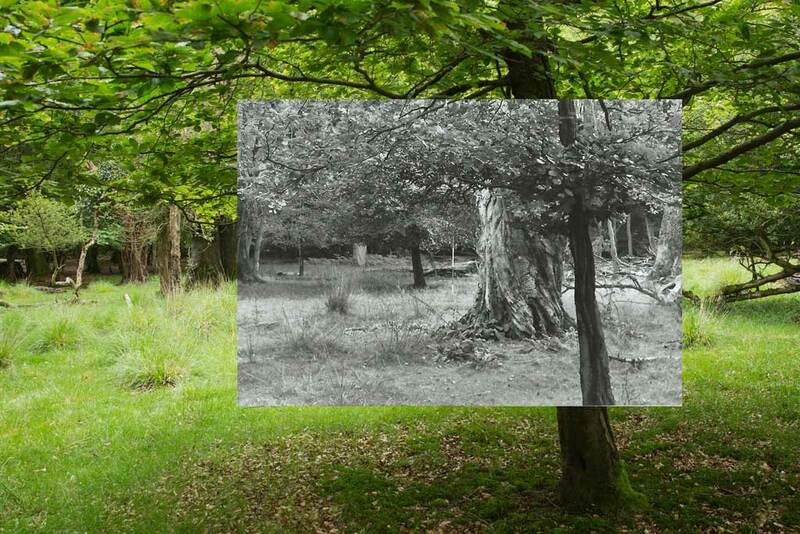 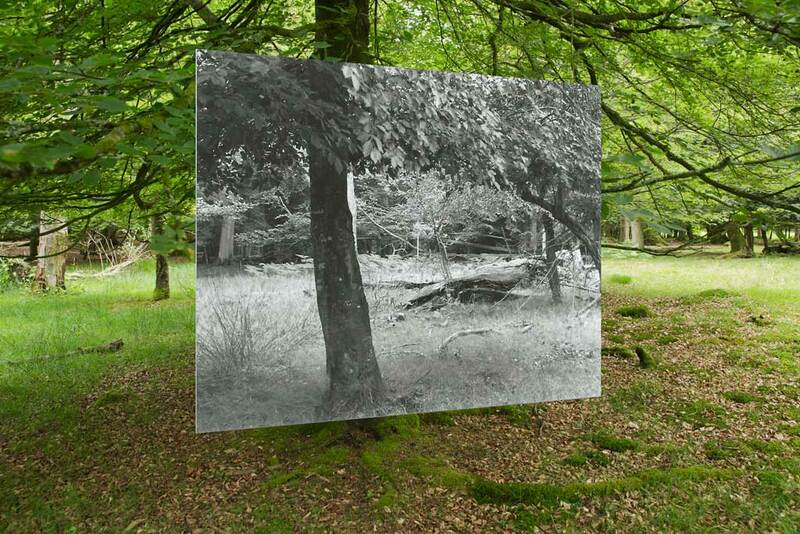 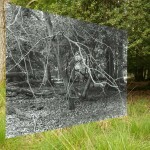 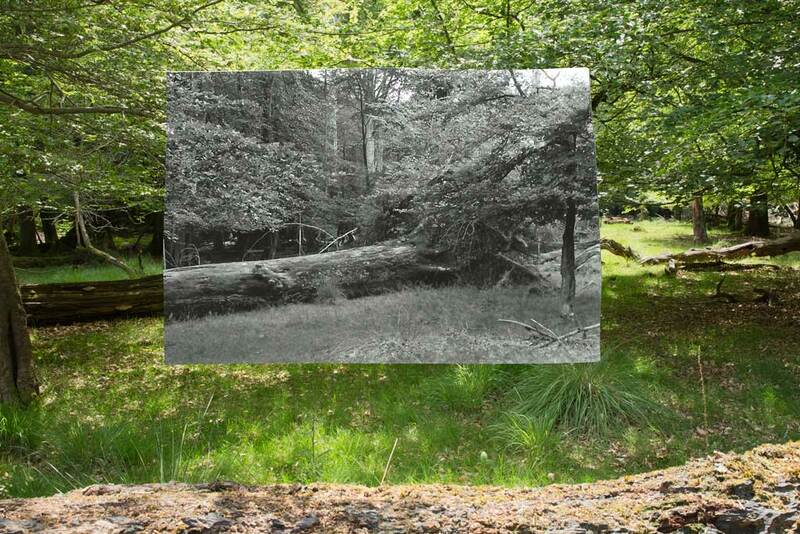 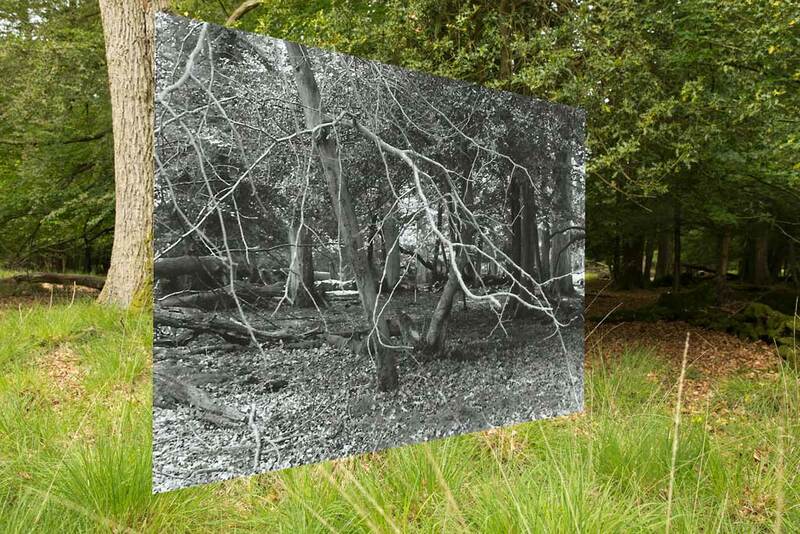 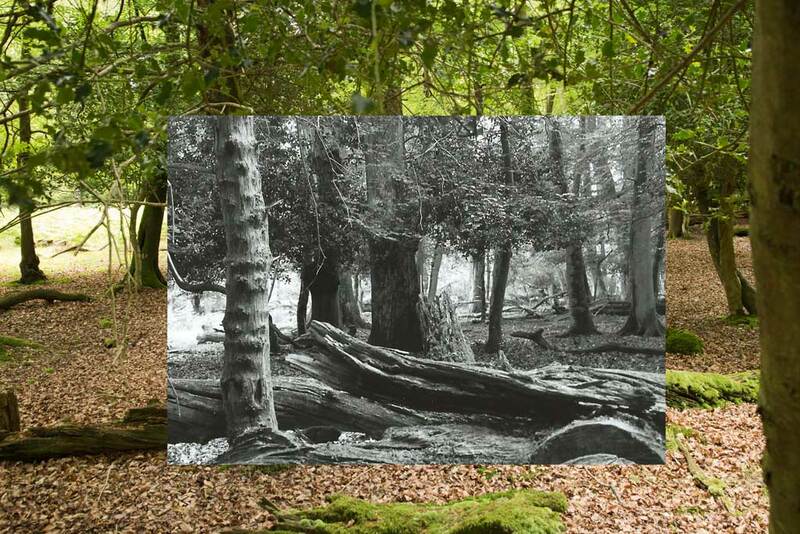 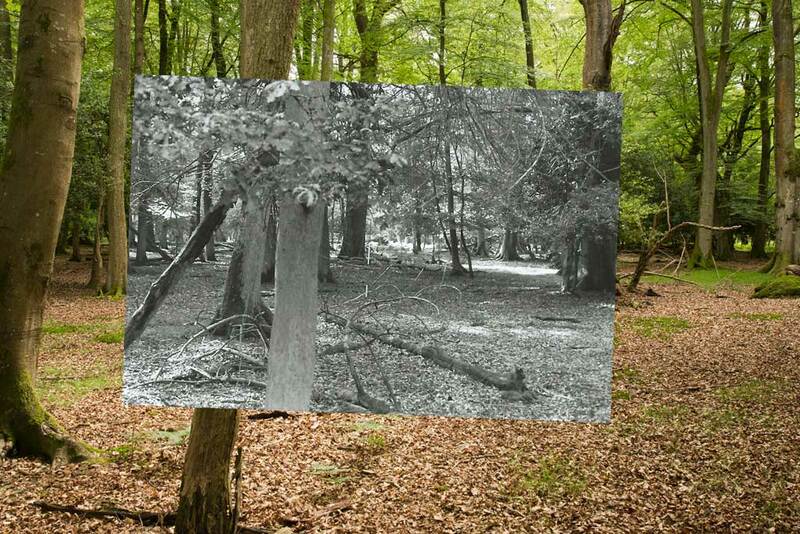 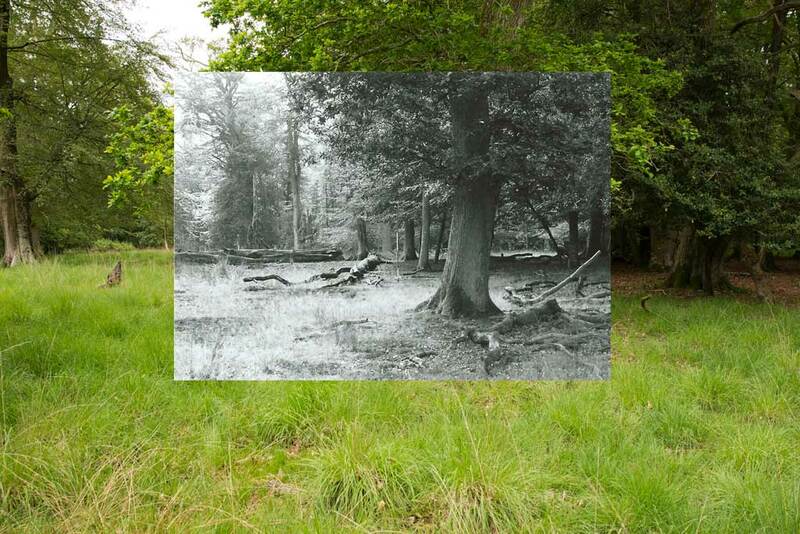 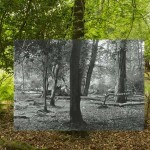 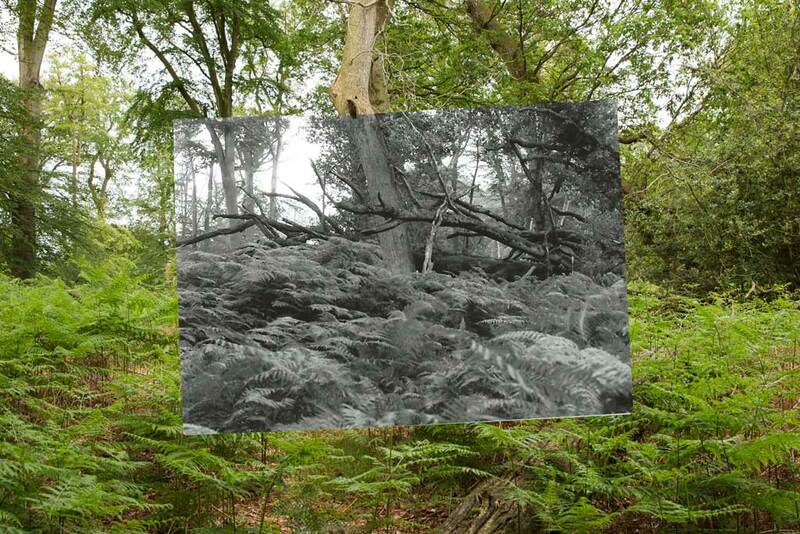 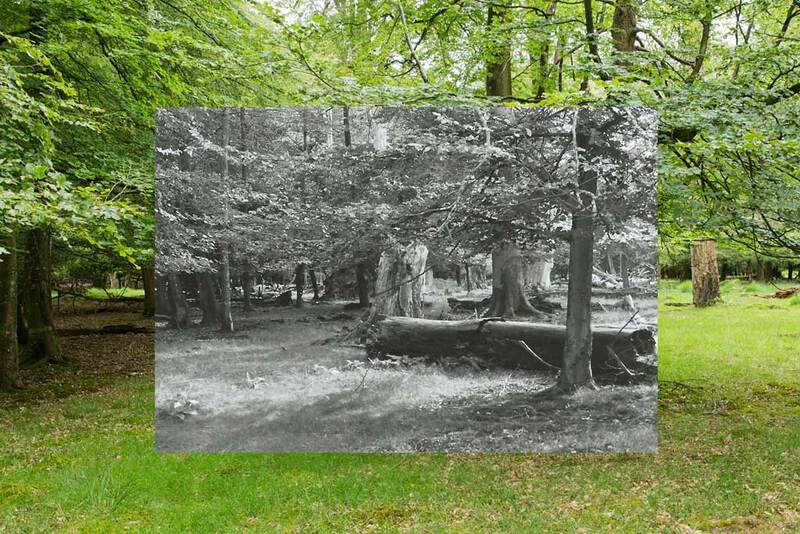 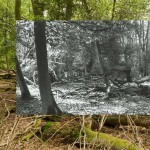 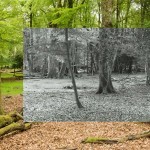 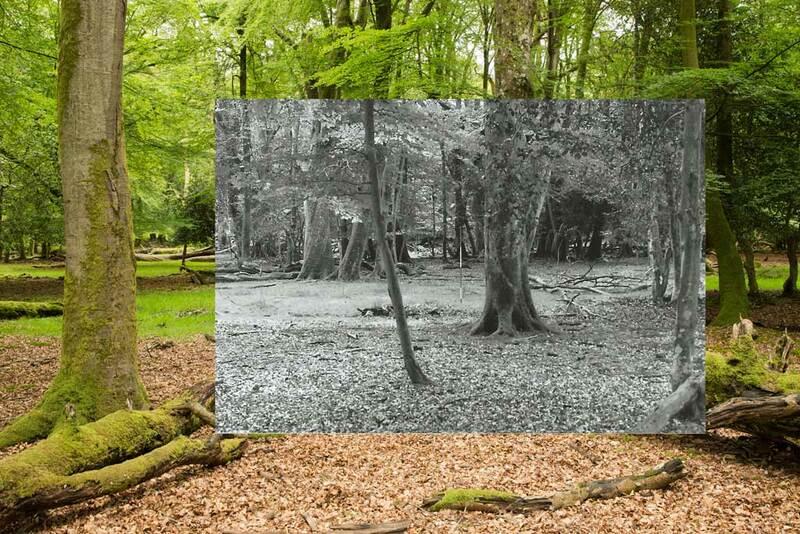 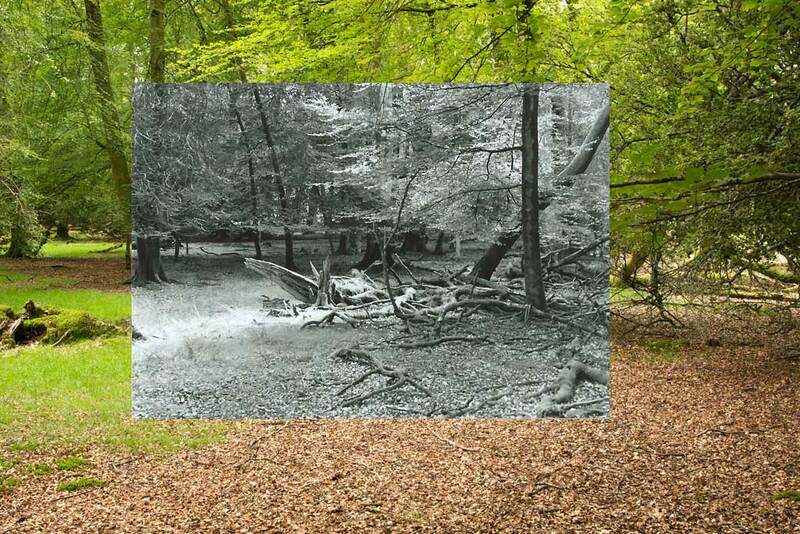 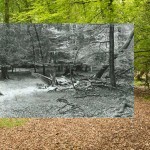 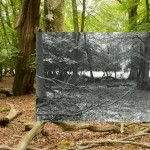 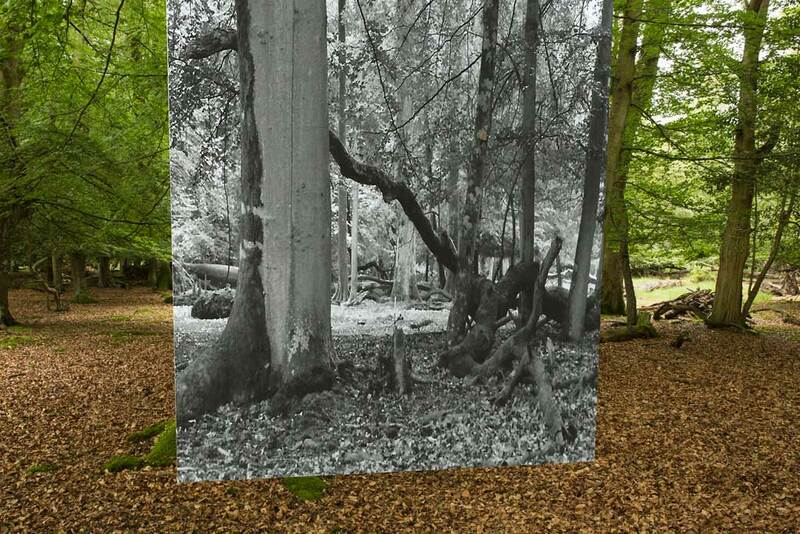 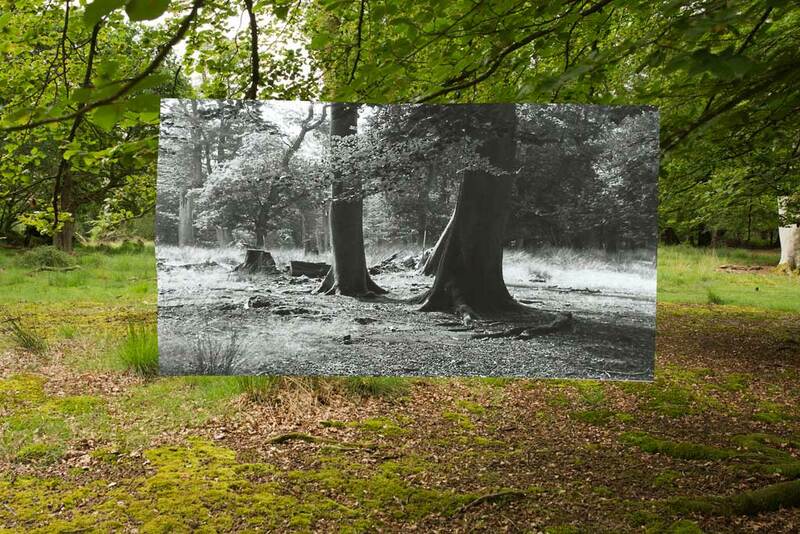 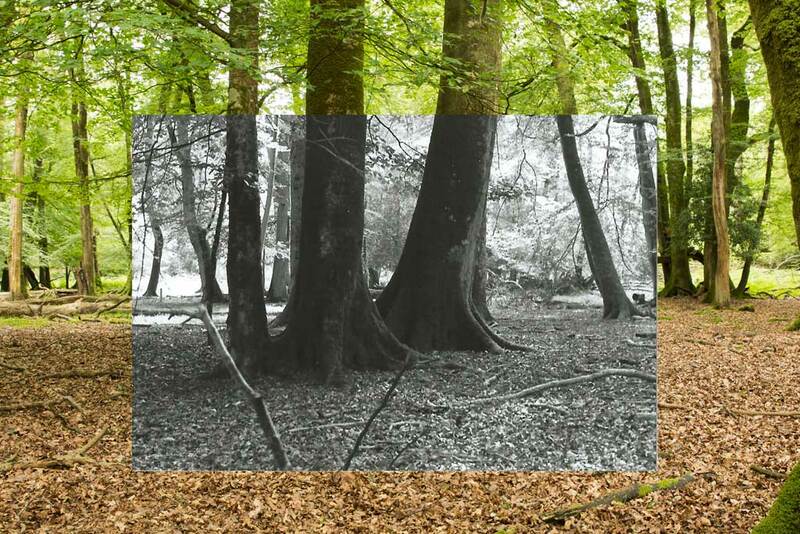 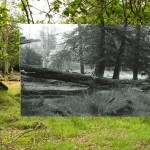 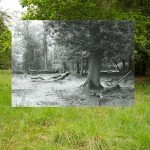 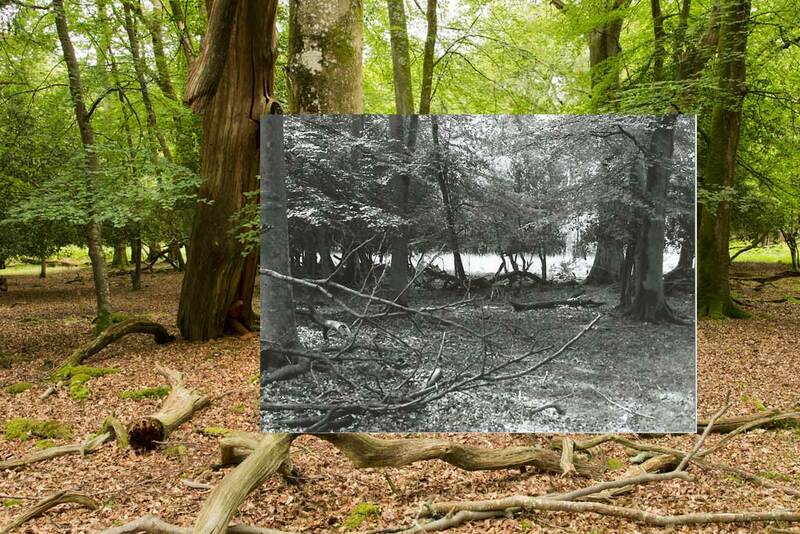 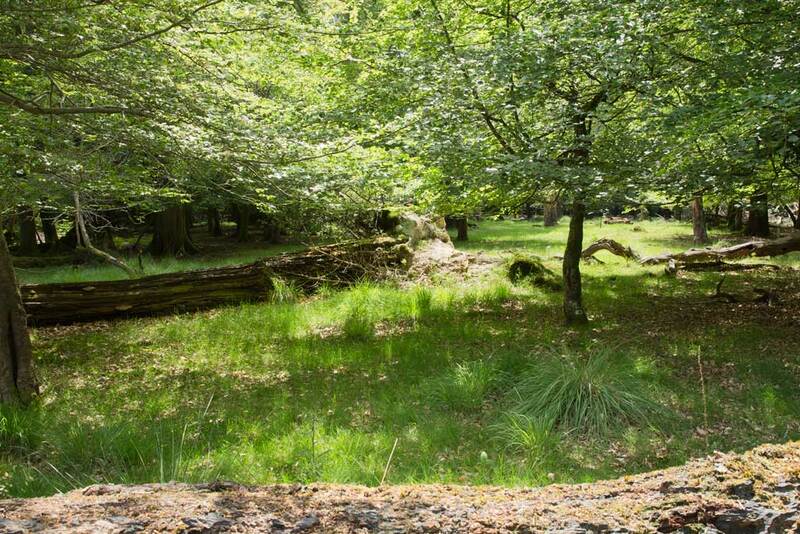 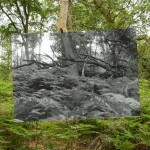 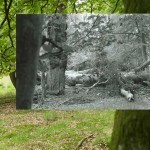 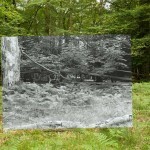 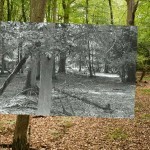 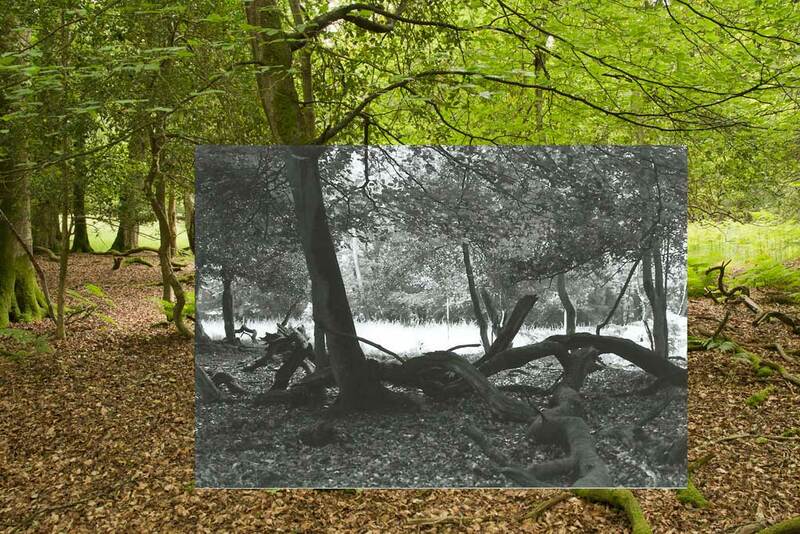 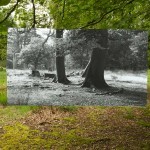 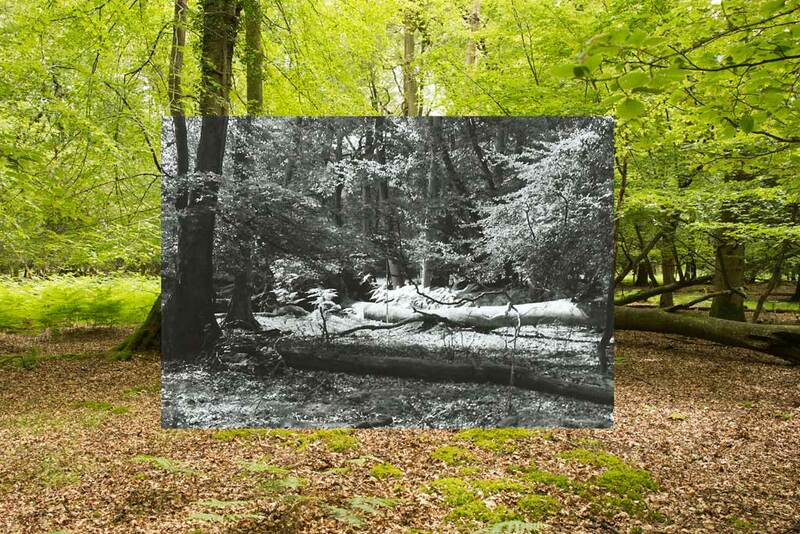 The photos below give a pictorial overview of changes along the permanent monitoring transect located in Denny Inclosure, New Forest, in the 18 years between August 1996 (black and white photos) and June 2014 (colour photos). 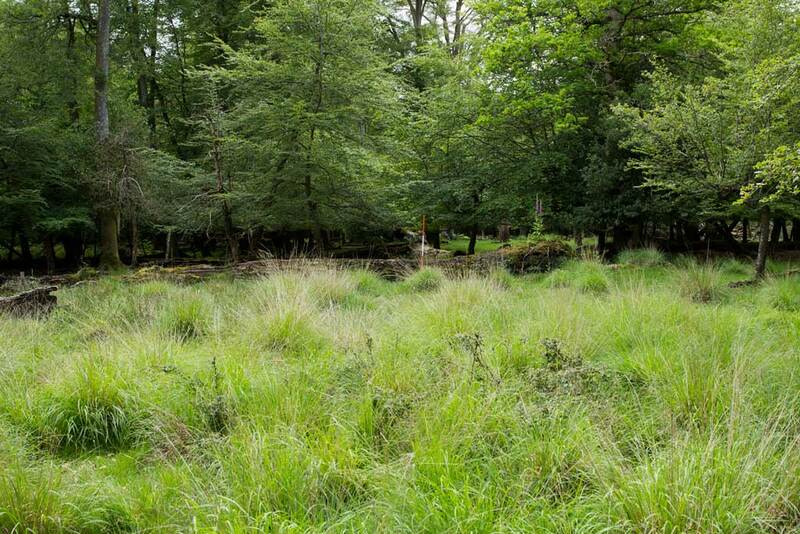 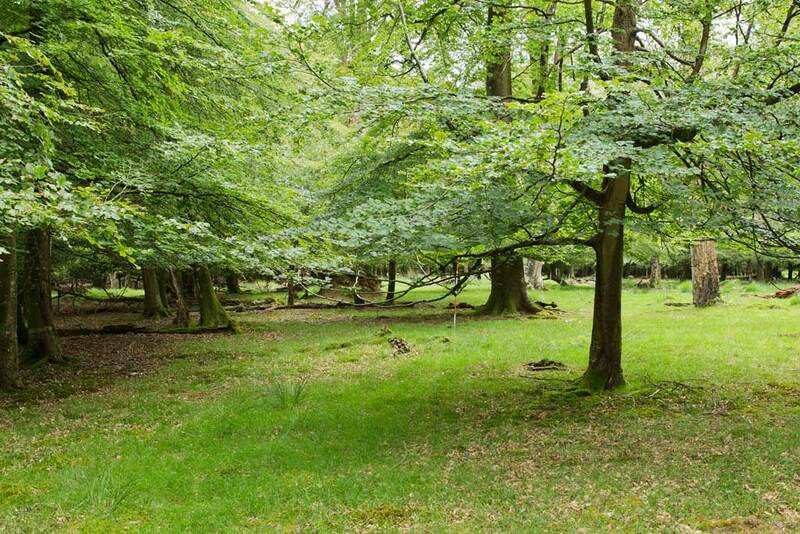 This transect is subdivided into contiguous 20 x 20 m plots, numbered 1-49. 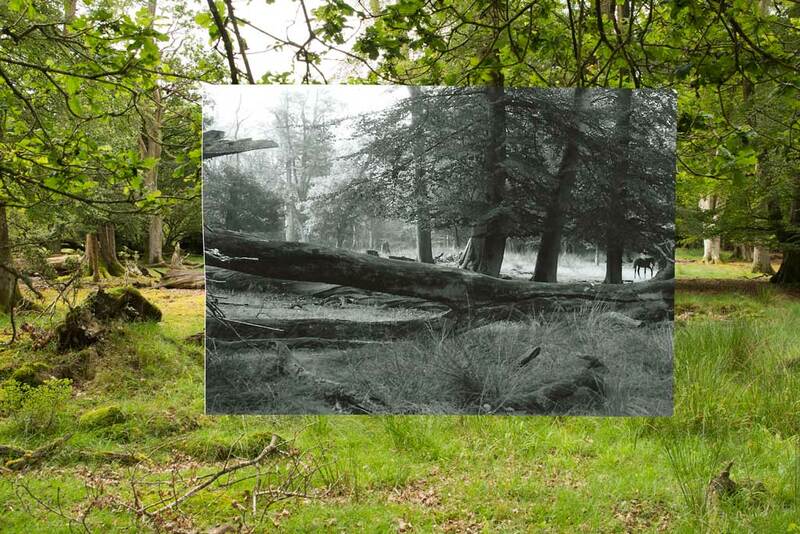 The main numerical records for the transect date from 1959, 1964, 1984, 1996, 2001 (as summarised by Mountford et al. 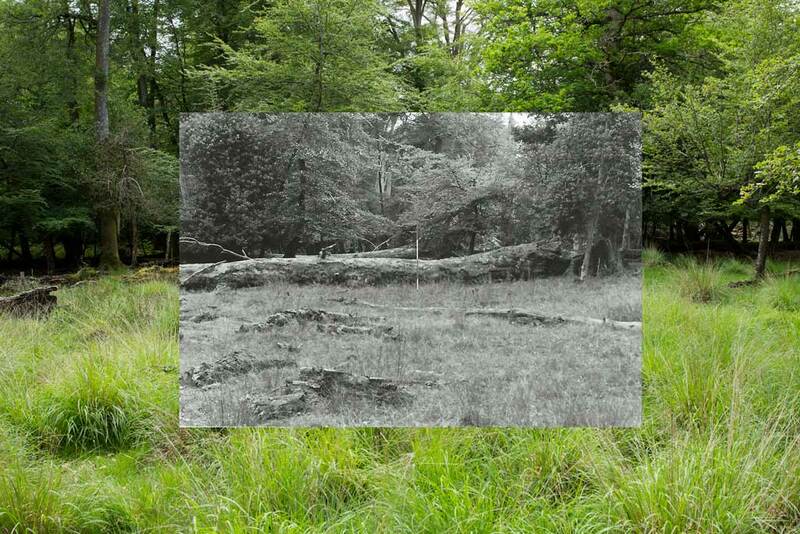 1999; Mountford and Peterken 2003)* and 2014 (this project). 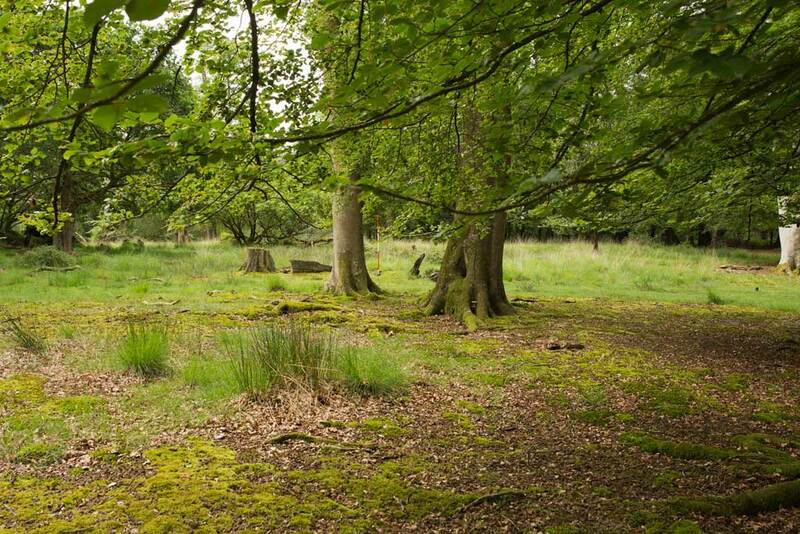 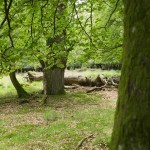 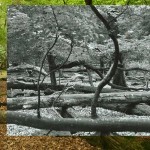 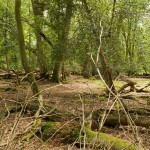 Comparison of the photos demonstrates many aspects of habitat stability – survival of individual trees and dead stumps and logs (of oak) can be clearly be picked out (e.g. 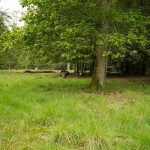 in plots 5, 12). 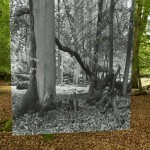 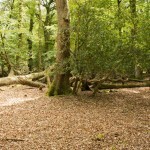 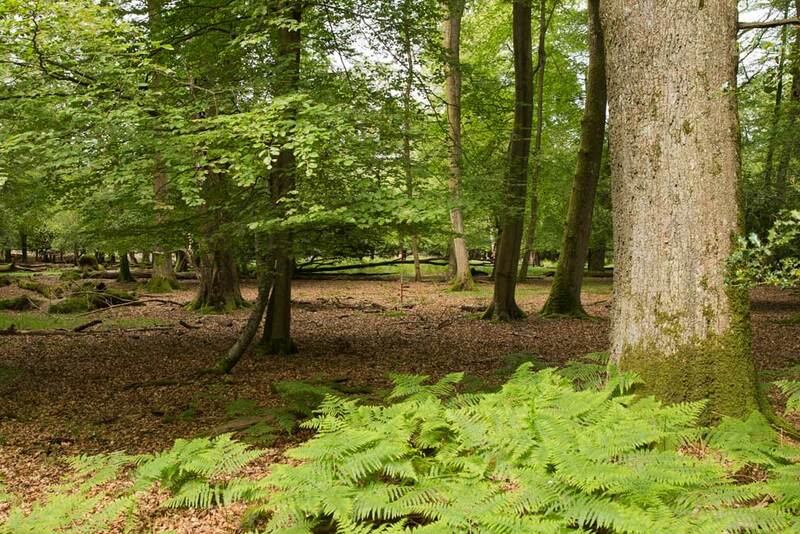 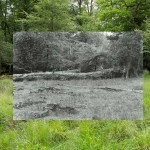 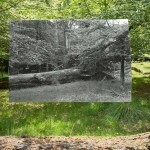 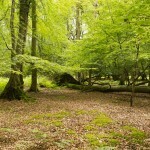 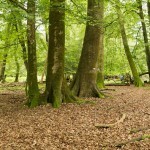 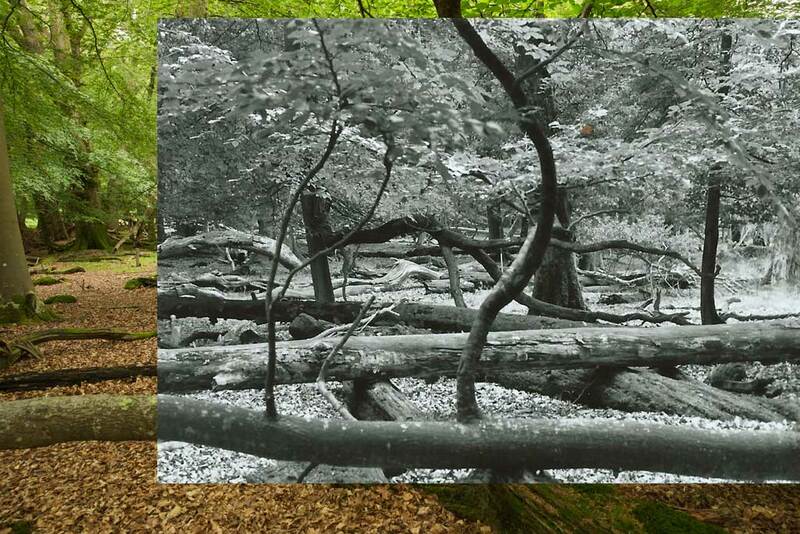 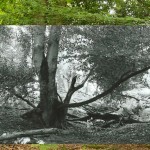 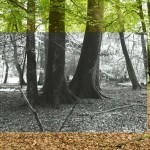 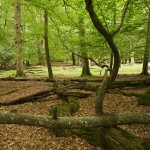 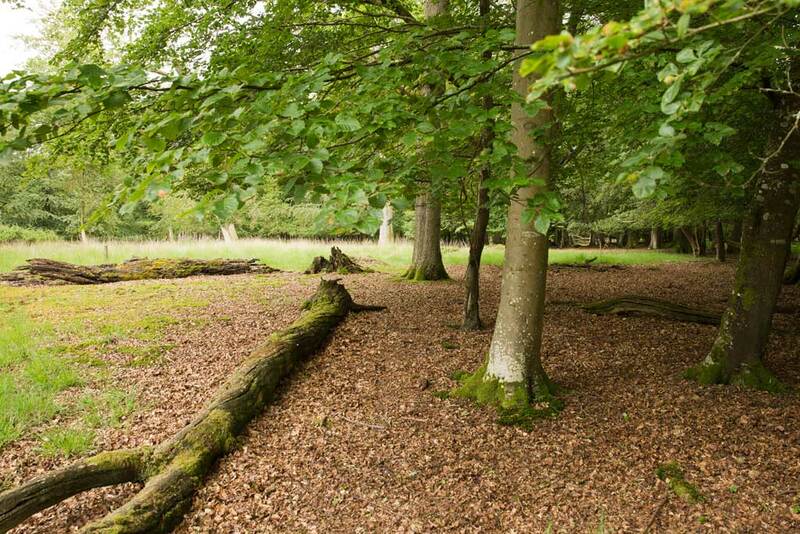 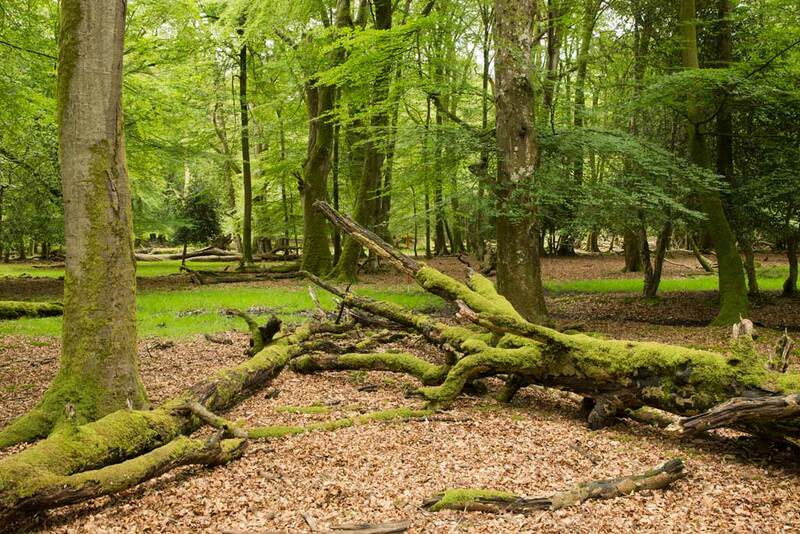 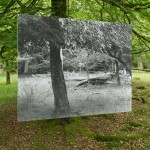 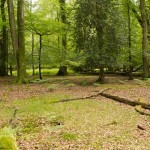 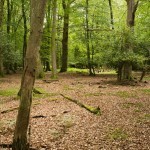 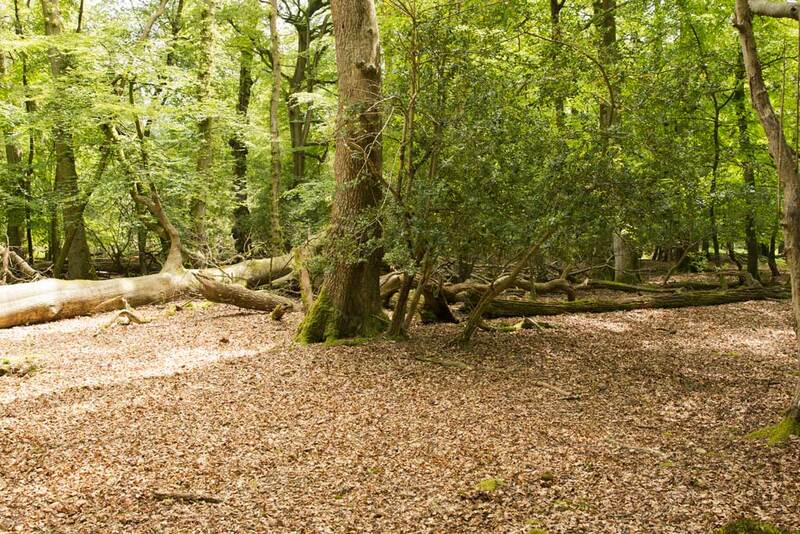 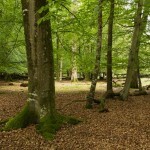 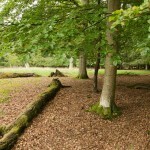 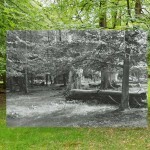 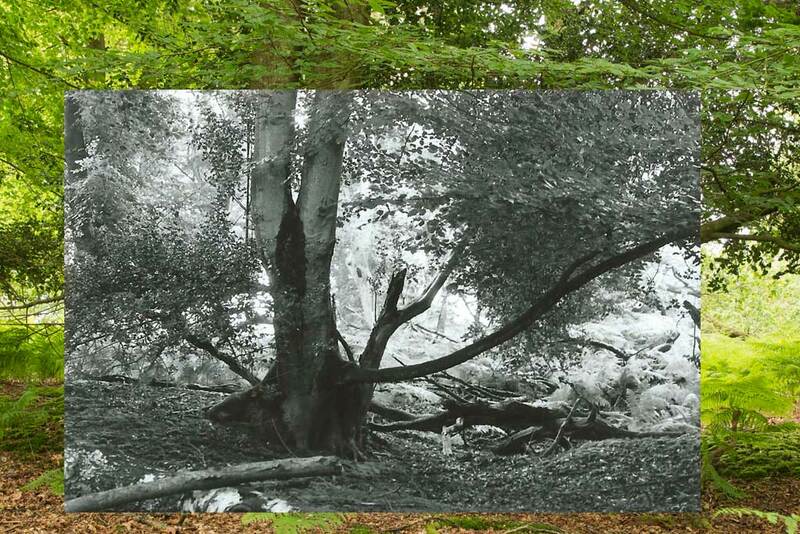 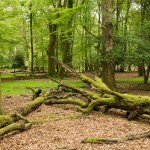 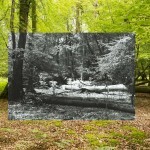 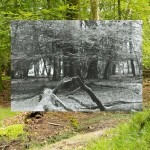 In other cases you can see notable changes, including the rapid decay of large fallen beech logs (e.g. 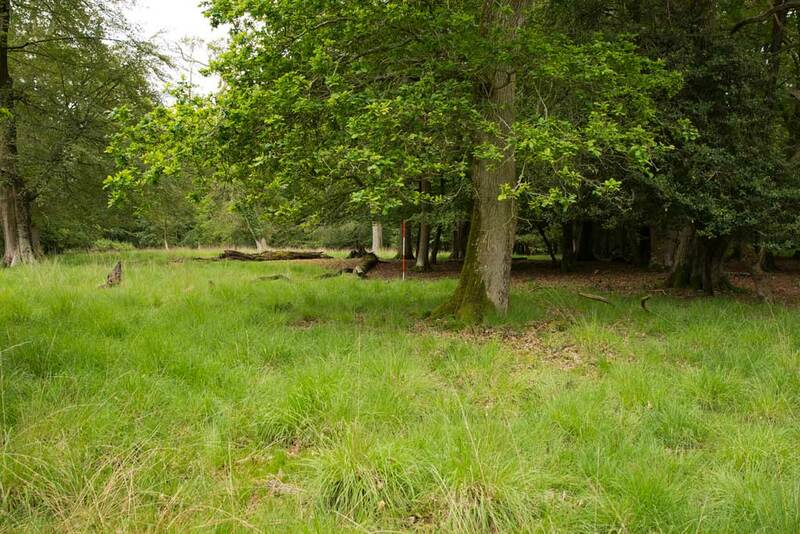 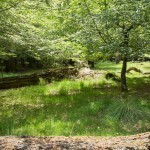 in plots 4, 9, 11, 31) and development of the ground vegetation (e.g. 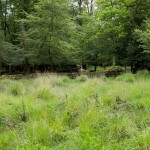 in plot 29). 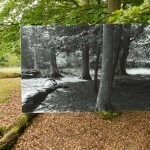 The 1996 photos are reproduced here with kind permission of Ed and Anne Mountford (without transfer of copyright); the photos in colour were taken by Chris Moody adopting similar vantage points. 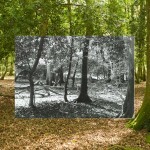 *Mountford, E. P., Peterken, G. F., Edwards, P. J. and Manners, J. G. 1999. 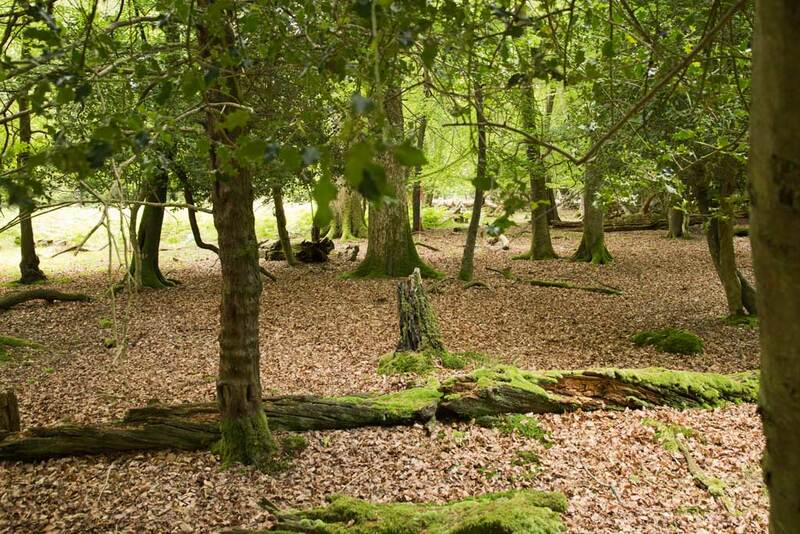 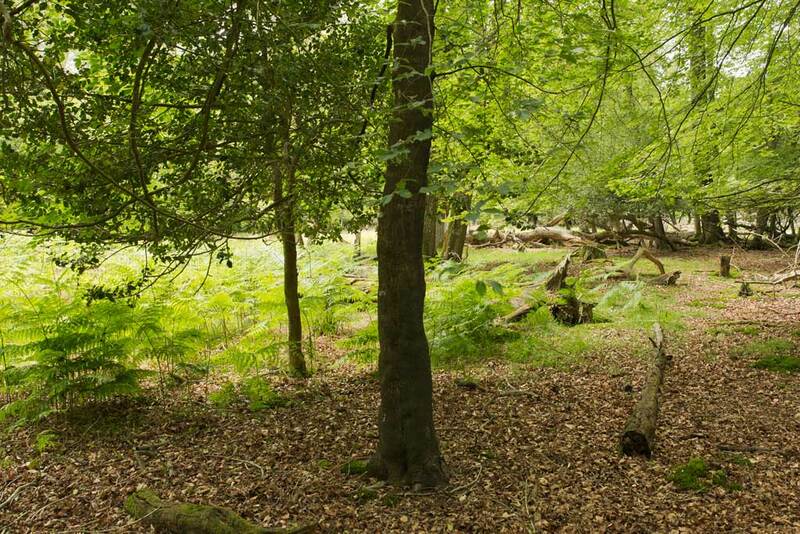 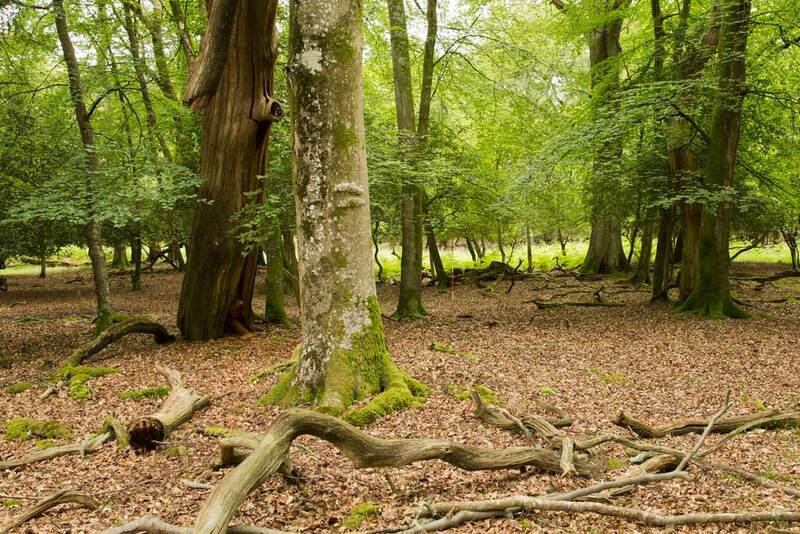 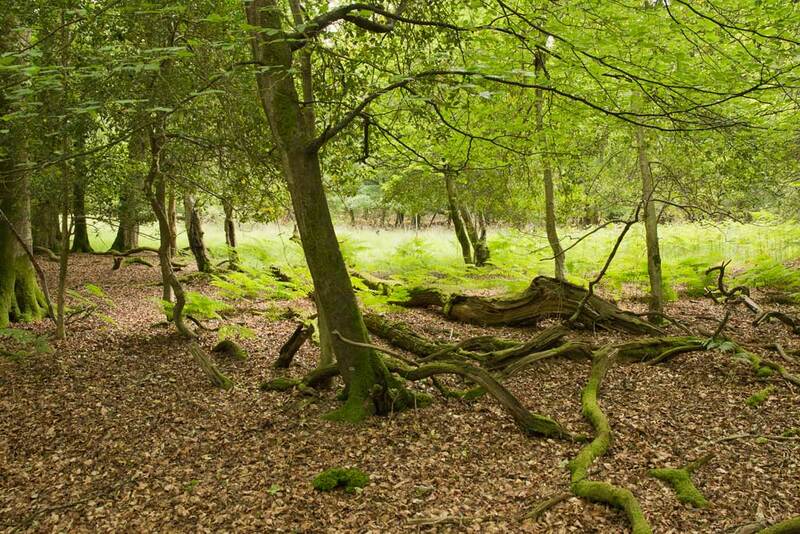 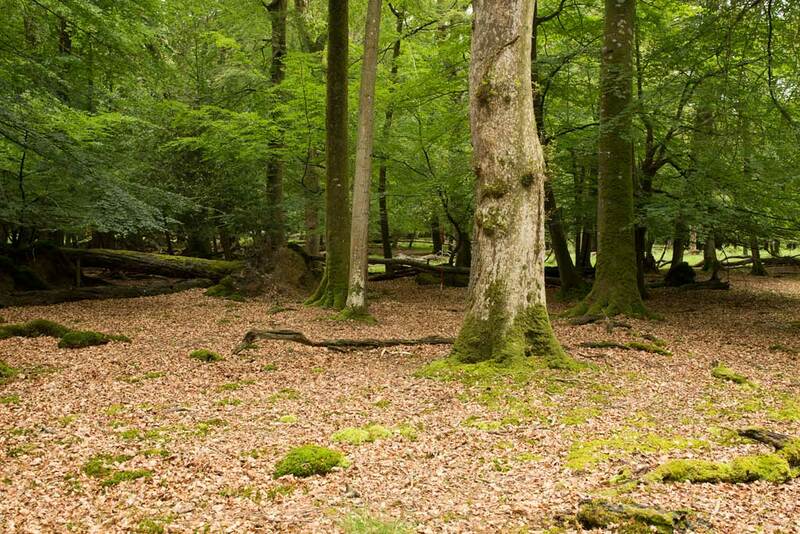 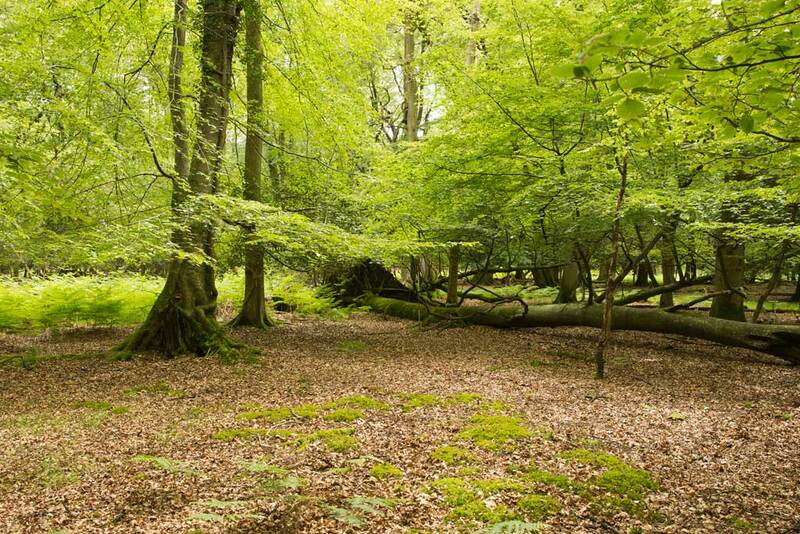 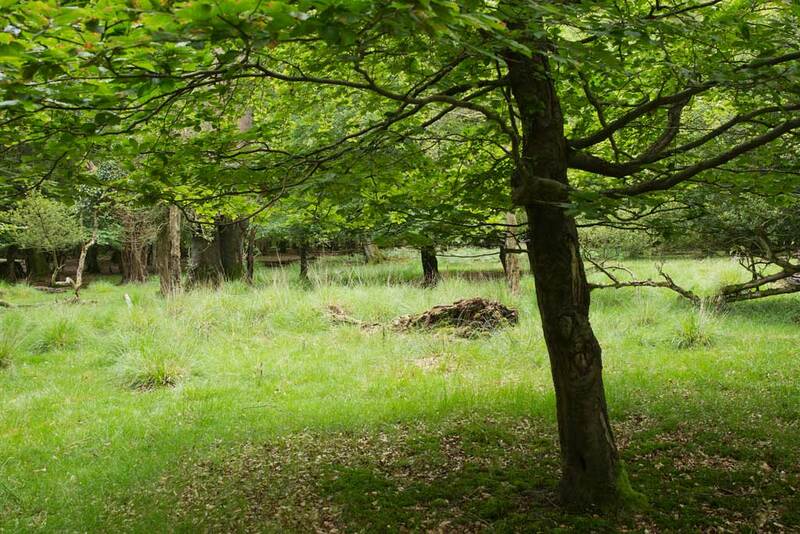 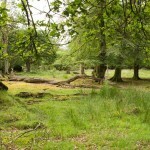 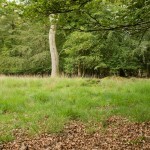 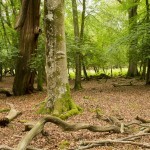 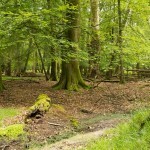 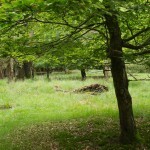 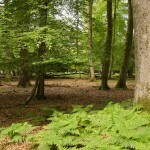 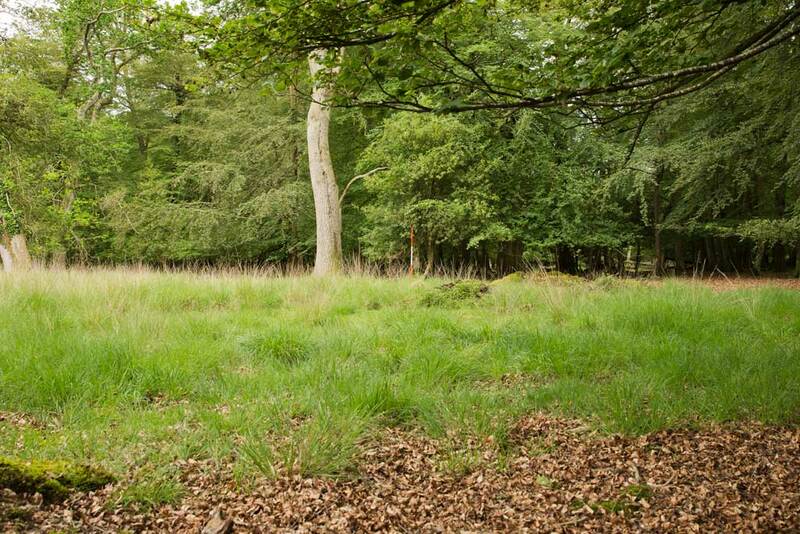 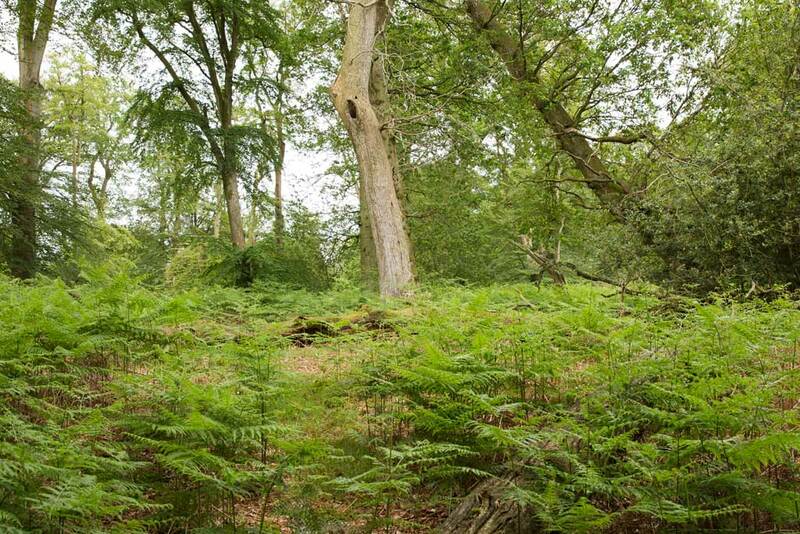 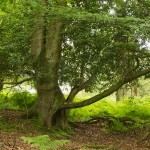 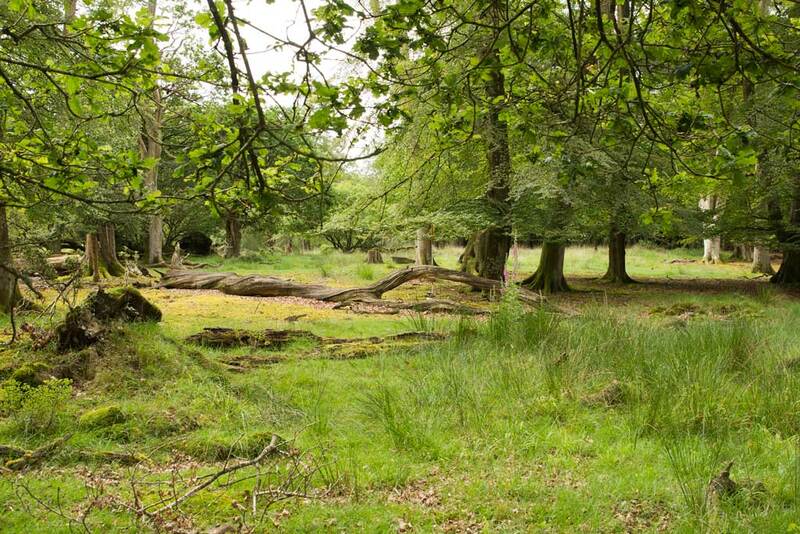 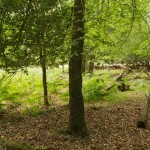 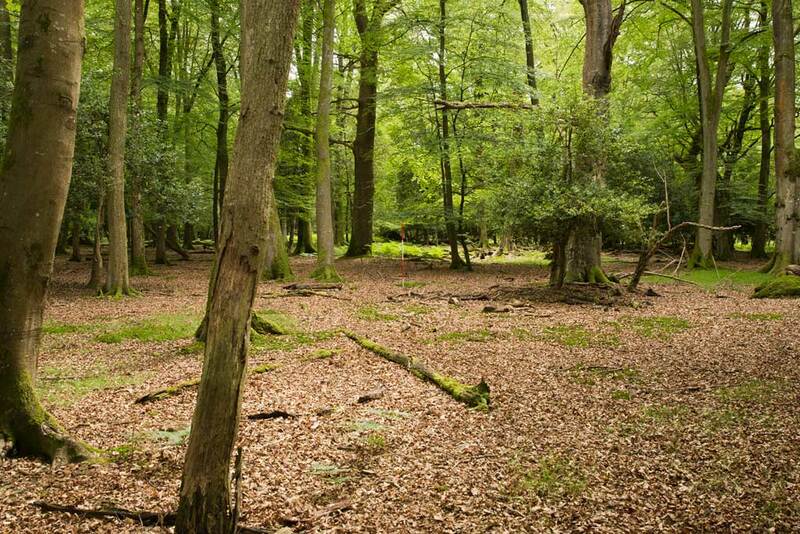 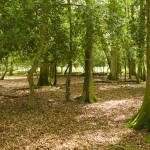 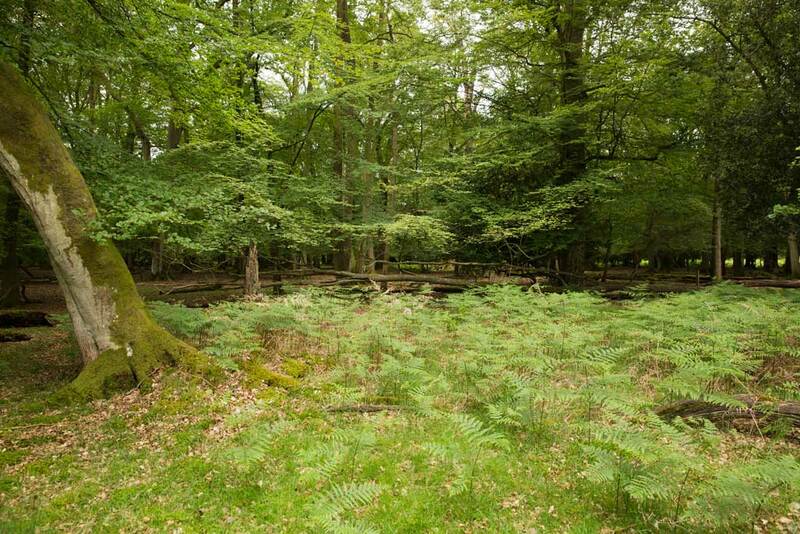 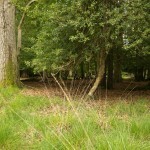 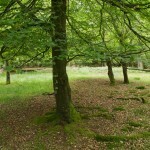 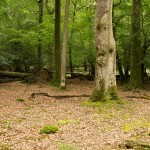 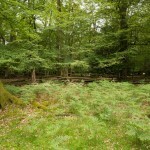 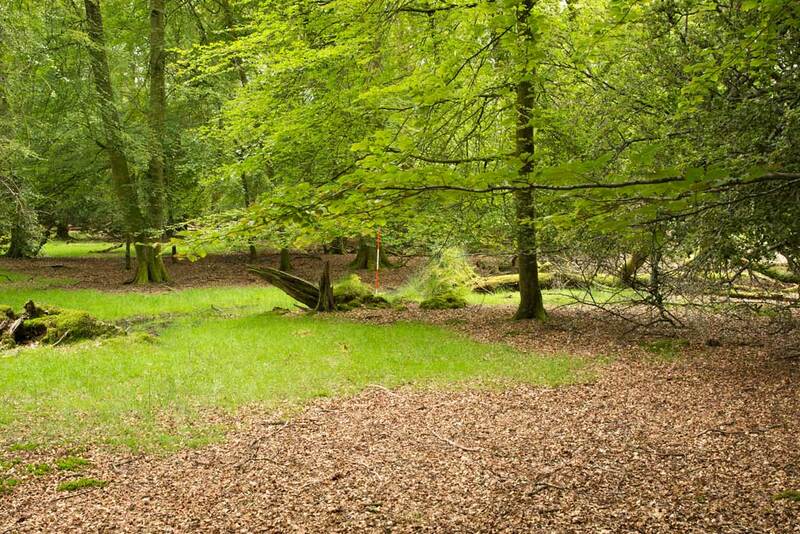 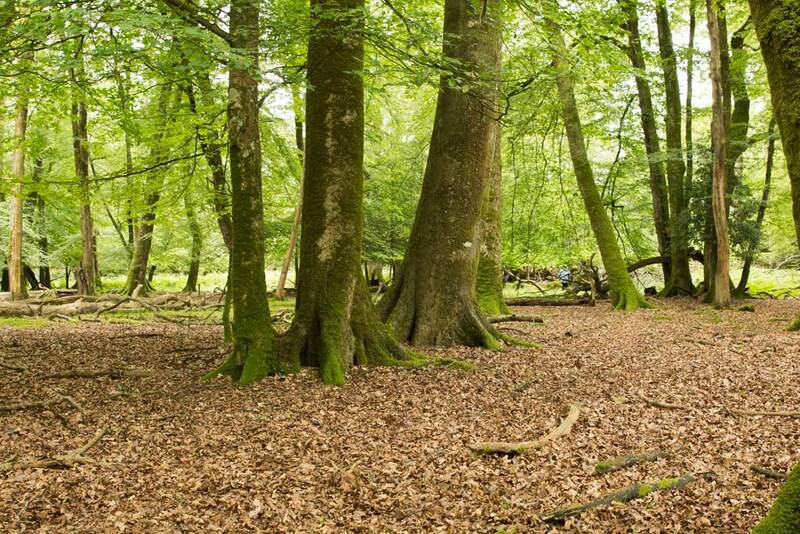 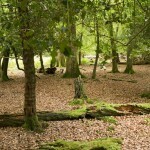 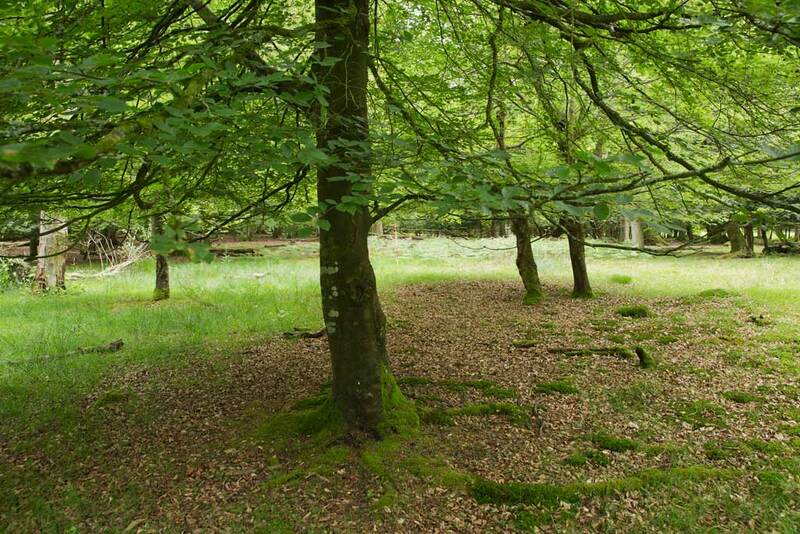 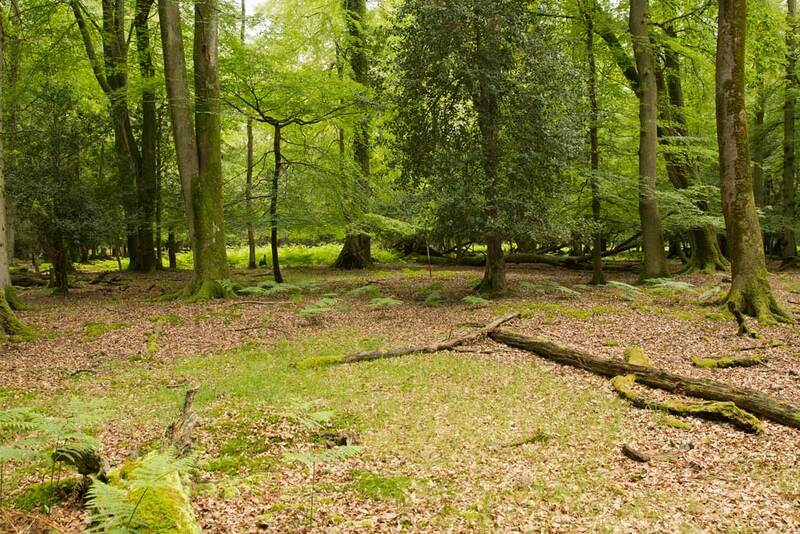 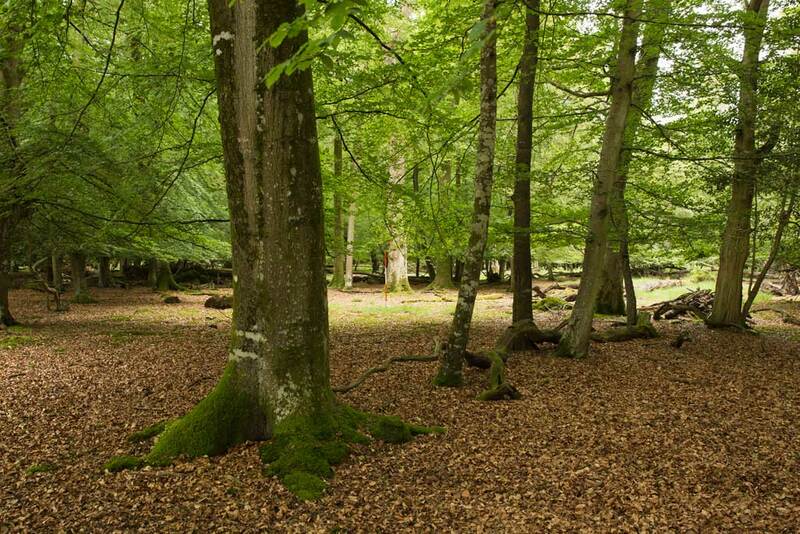 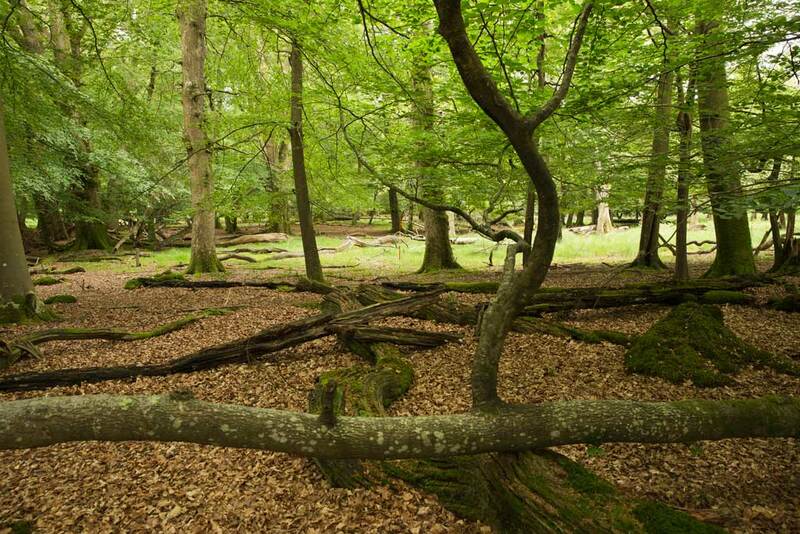 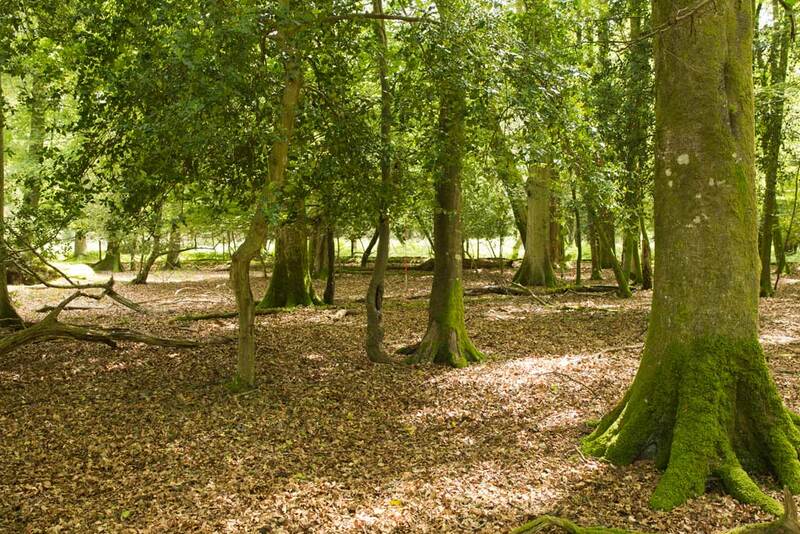 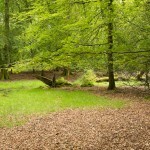 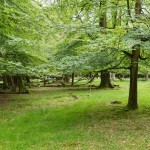 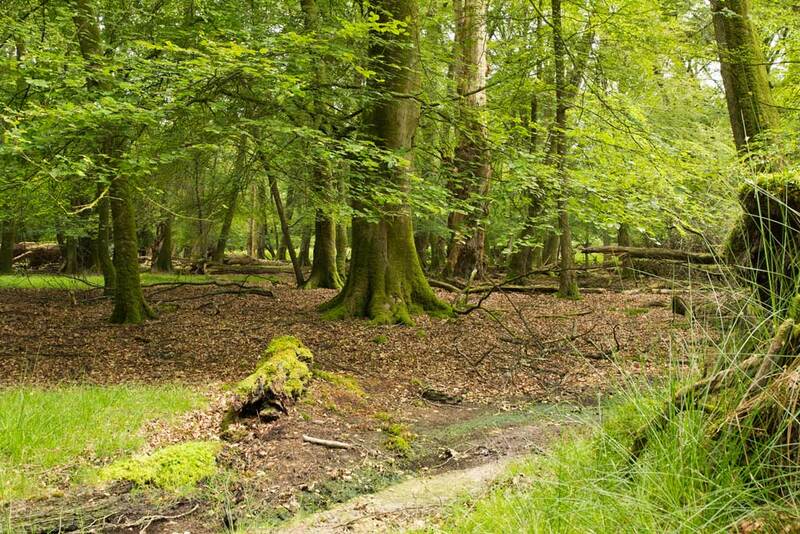 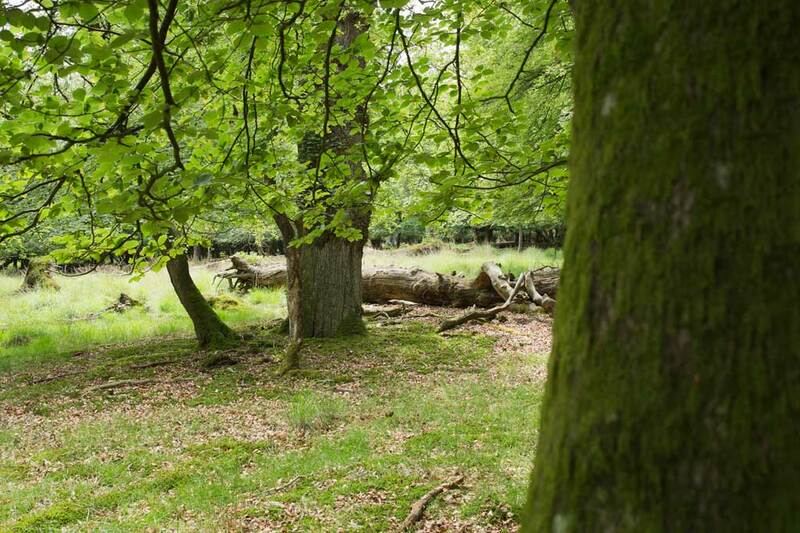 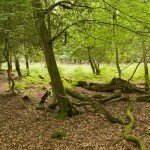 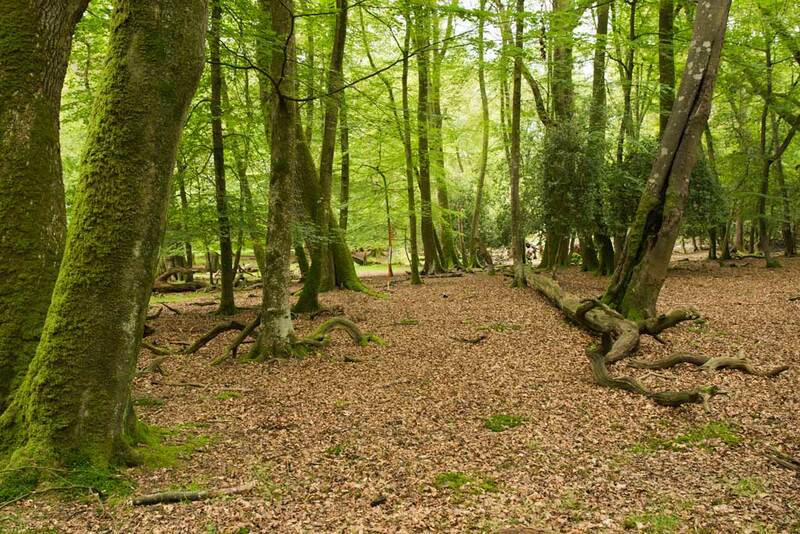 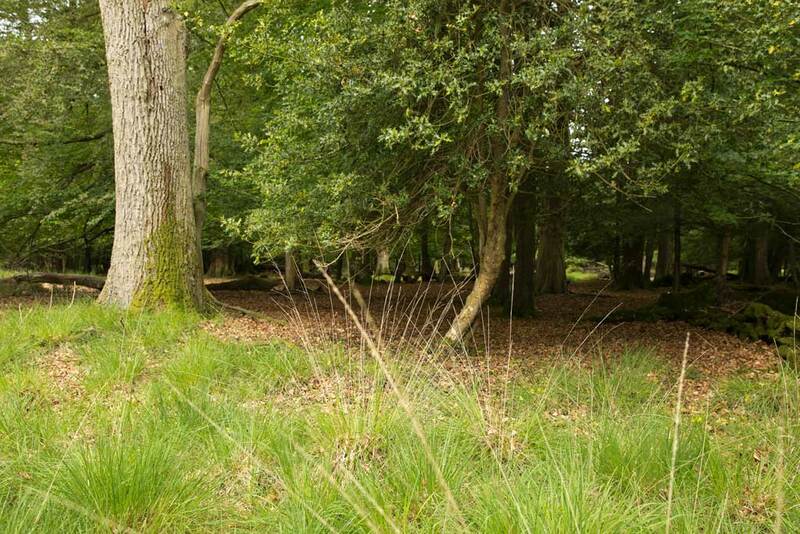 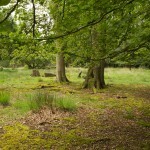 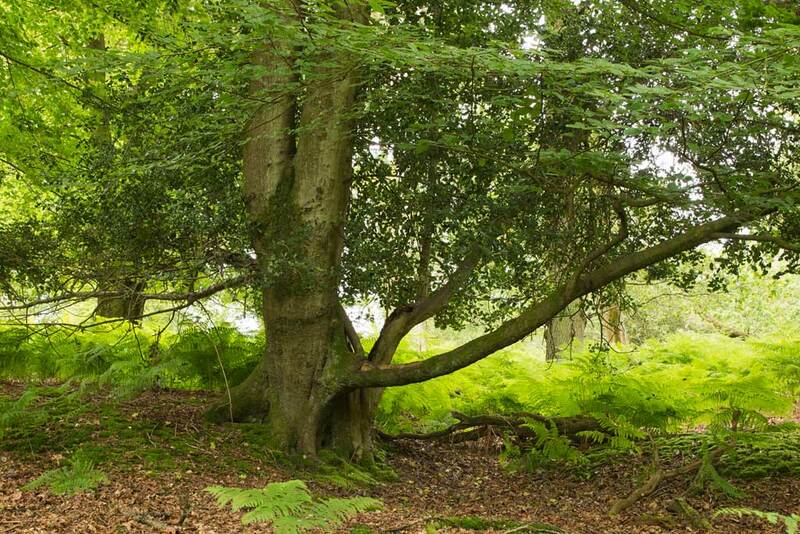 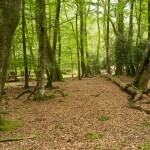 Long-term change in growth, mortality and regeneration of trees in Denny Wood, an old-growth wood-pasture in the New Forest (UK). 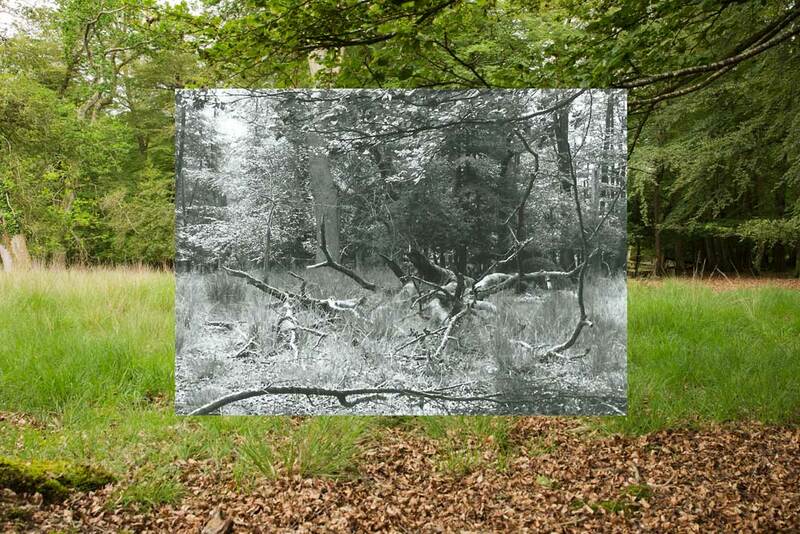 Perspectives in Plant Ecology, Evolution and Systematics, 2, 223-272. 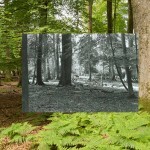 Mountford, E. P. and Peterken, G. E. 2003. 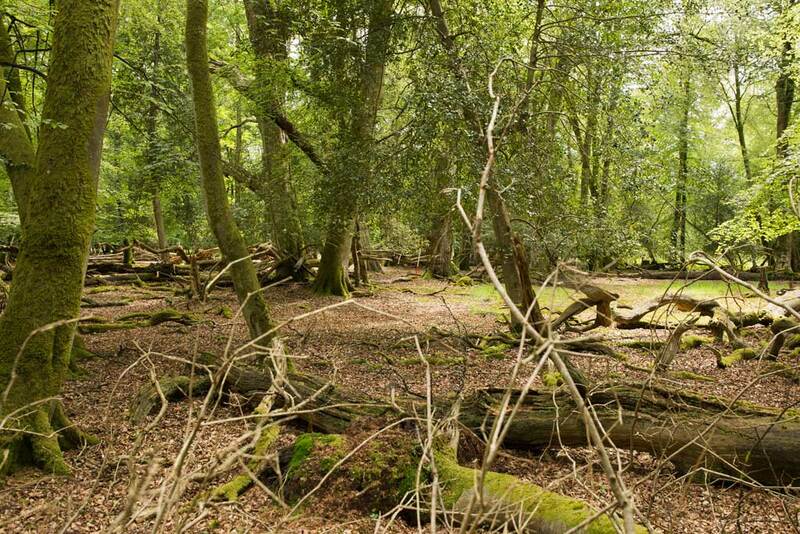 Long-term change and implications for the management of woodpastures: experience over 40 years from Denny Wood, New Forest. 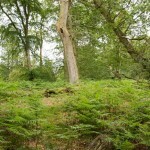 Forestry, 76, 19-43.